Force by EvoHeat is our domestic pool and spa heat pump that provides high performance with the lowest running costs. The Force Series is built with high quality components from leading brand manufactures in the USA, Europe and Japan and designed to perform 365 days of the year under our harsh Australian conditions. With eternally fluctuating energy prices, don’t gamble with low C.O.P. (i.e. low efficiency) pool heaters. The Force Series is a sure thing with class leading C.O.P. of 6kW+ output for every 1kW of electricity you pay for. It’s more than 600% more energy efficient compared to other heating technology on the market. More bang for your buck means a rapid return on investment. Don’t just take our word for it – check out our savings to expect. Force delivers pool heating through exceptional performance and at the lowest cost with C.O.P. as high as 6kw+ output for every 1kW of electricity you pay for. Unlike other heat pumps on the market, EvoHeat heat pumps delivers heating, cooling and automatic mode to suit all pool temperature requirements. 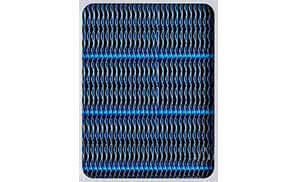 EvoHeat’s exclusive ripple fin heater technology increases condenser surface area by 10-15% producing greater energy collection while maintaining a compact design. 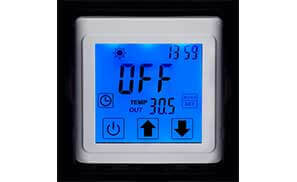 The most advanced refrigeration control available. Our EEV provides precise refrigerant control which results in higher C.O.P.’s and improved efficiency of +10-15% over other commercial heater brands. Force heat pumps are built with the highest durability while ensuring maximum heat transfer with increased output resulting in 30% higher efficiency in contrast with standard heat exchangers. 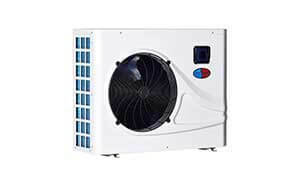 Force heat pumps utilise a four-way valve reverse defrost method. It provides automatic defrosting based on ambient temp and allows the unit to work with ambient air temperatures as low as -7°C. Cutting edge, intelligent touch screen LCD allowing full programmability. Maintain your water temperature to within 1/2 a degree while maintaining optimum heater operating performance. Force series are designed with flow switch and high pressure cut out to ensure additional safety and protection. The Bluetec hydrophilic coating resists corrosion and frosting. The corrugated, louvered fin extends the heat exchange surface, resulting in more contact with the inlet air and improved efficiency of the evaporators. EvoHeat’s Bluetec hydrophilic coating on the condenser fins is the latest technology in corrosion protection allowing your new heat pump to maintain it’s high efficiency for many years to come. The protective coating has also been infused with technology that inhibits ice from forming on the fins. Ice on the fins reduces air flow and heat transfer, therefore impacting on its efficiency. Without a Bluetec coating your heat pump could turn into a block of ice. A stainless steel above ground roller is a trouble free and lightweight system, that’s perfect for handling and also storing your pool blanket. They can easily be operated by anyone, and all It takes is less than a minute or so to retract or withdraw the pool blanket from your pool. It also features adjustable fittings, which are simple, durable and long lasting. An easy to use product that will offer years of trouble-free service. A cost effective solution to suit your requirements, plus it will tidy up your swimming pool entertainment area. Installing a Sunline pool blanket can save you more than money and debris in the pool… You’ll be saving the sun’s natural warmth, eliminate evaporation and reduce running costs in terms of maintenance and pool chemical consumption. Sancell Pty Ltd have adopted internal systems to achieve certification in ISO standards for Quality (9001), Health & Safety (18001) and of course the Environment (14001).